Raising funds for second K-9 deputy for the Vilas County Sheriff's department was a success thanks to the hard work and dedication of Captain Gerard Ritter whose effort resulted in $20,000 being directed for another dog. Capt. Ritter describes his remarkable effort with modesty. 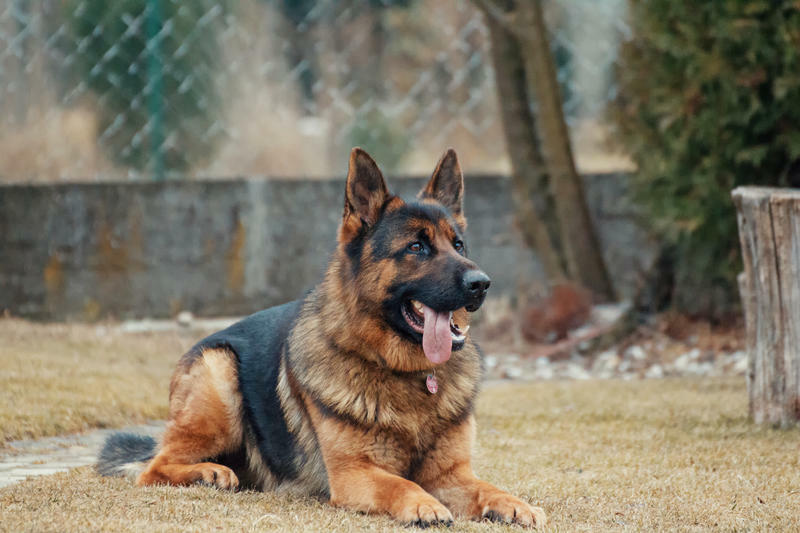 The Rhinelander Police Department is in the process of "hiring" the fourth canine in its history and they need public support. Police Chief Lloyd Gauthier says the department's first dog started in 1987 that was funded by the Hodag Lions Club. That dog was active for five years. In 1997 the department received a canine officer from Marathon county. Drago, the most recent dog, retired from the department in December. Gauthier says he's interviewing two current officers to become the next canine handler ..
Rhinelander has a new police chief. 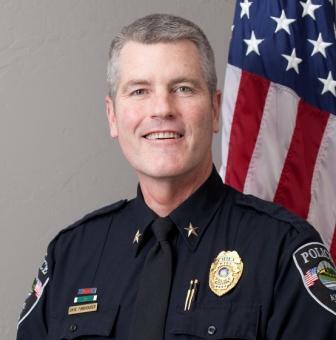 The process ended today as the Police and Fire Commission named current Kiel, Wisconsin Police Chief David Funkhouser as its next law enforcement leader. 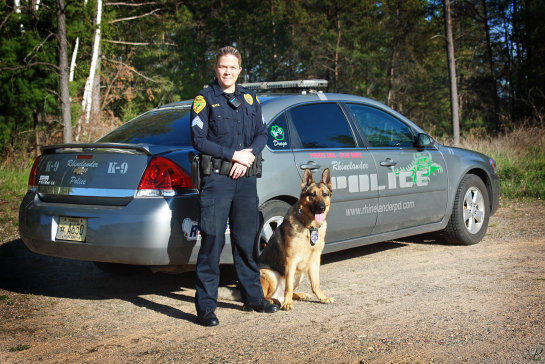 Drago, the Rhinelander Police Department’s solo K-9 patrol and narcotics dog is nearing retirement age. The department is hoping to raise enough money to find a new member for their K9 unit when Drago retires. Police Chief, Mike Steffes says they’re selling stuffed animals to raise money. The Rhinelander Police Department is again offering a chance for 12 participants to see the life of a police officer up close. 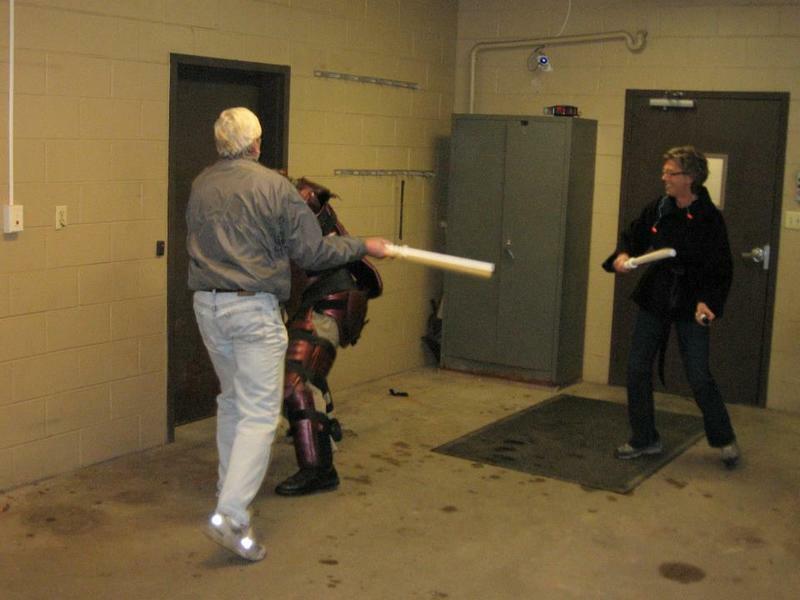 The 8th annual Citizen's Police Academy begins March 5 and runs for eight weeks. A six hour standoff with Rhinelander police and members of the Oneida County Special Response Team ended late Tuesday when a man gave himself up. 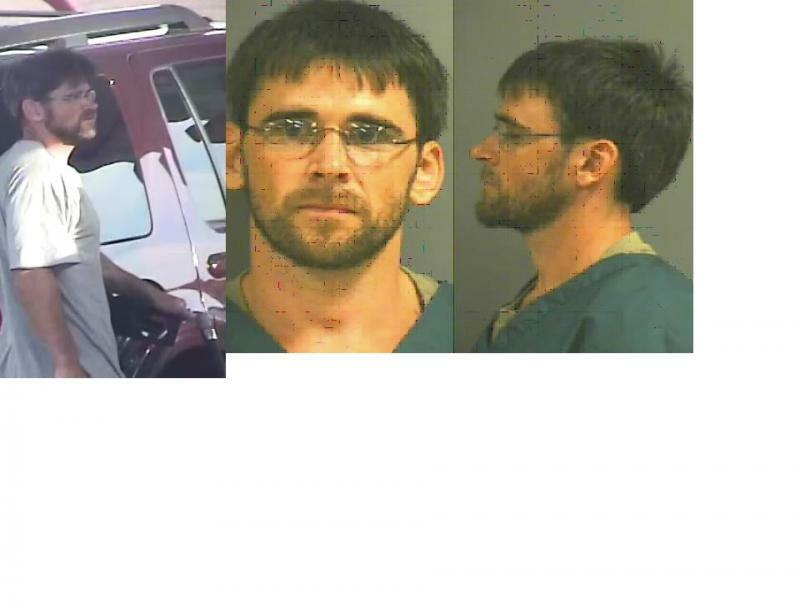 Man Sought For Vehicle Thefts In Northwoods? The Rhinelander Police Department is asking the public's help in locating a suspect in motor vehicle thefts in Chippewa county who is thought to be in the area. Police Chief Michael Steffes says 38 year old Eric T. Hall is being sought as a person of interest by Chippewa county authorities. Eric Hall was released from prison 10 days ago. 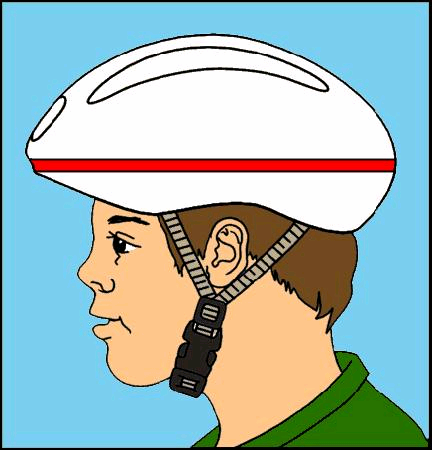 Rhinelander kids on bikes could be surprised with a sweet treat if they are wearing bicycle helmets. Since last week officers on patrol have been looking for kids wearing the safety helmets as part of the "Safety Is Sweet" initiative. "....it's very important to us that all kids wear the bike safety helmet as it's the main way of keeping their heads safe while out and about on their bicycles...."
A law enforcement memorial was dedicated Wednesday(5/14) at the Rhinelander Police Department, specifically remembering the life of fallen Rhinelander police Sergeant Stephen Martin. Sergeant Martin was a veteran member of city police. He was also a sergeant in the 330th Military Police Detachment of the Army Reserve.. On June, 24, 2004, Martin and others stopped a suicide bomber trying to destroy a police training facility. Martin was critically injured and died a week later. The Rhinelander Police Department is holding a training about law enforcement for citizens. The Police Academy takes place one night a week for eight weeks. Police chief Mike Steffes says the goal is to get more people thinking like police officers. Steffes says it also helps community members feel more comfortable with police. Mutual Aid Pact, Memorial Approved For Rhinelander P.D. Officials said it hopefully will never need to be used...but the Rhinelander city council has approved its portion of North Central Emergency Response Team mutual aid agreement. Rhinelander Police are asking for donations to take a group of underprivileged kids shopping. It’s the fourth year of the Shop with a Cop program. Police and other law enforcement officials will pair up with kids…and take them shopping at Walmart. Rhinelander Police Officer Chad Brown says the goal is to give each kid at least a hundred dollars to spend. Rhinelander police will have extra boots on the ground during Thursday night’s trick-or-treating. Rhinelander Police Captain Ron Lueneburg says officers will be enforcing traffic safety while kids are out on the streets. The extra patrols will be out between 4 and 7 pm Halloween night. 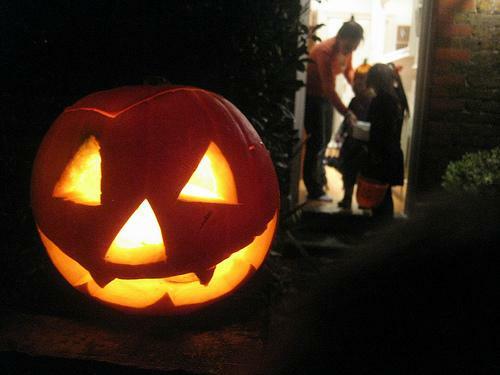 Lueneburg says the department hopes for another safe year of trick-or-treating.